Question: What are the differences between a tension belts with zinc-diecast-buckle and stell-ratchet? The differences between the two locking systems are described in detail in our catalog. First of all: Both are absolutely safe! 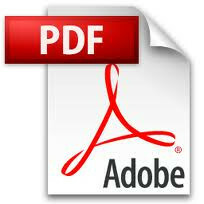 Here you can find the corresponding pages as PDF. Question: I want to install your Monkeys onto a tree that is 15 m high. What do I need? 2. How many Monkeys do you want to put on each tension belt? Example: You´re planing a 15 m high tree, so you put 38 belts on it (for adults; 15/0,4). You want 2 Monkeys on each belt. We don´t need holds on the lowest two belts, because your only standing on those. --> 38 belts, 76 Monkeys, 72 holds, 72 screws plus the items used for belaying and set up like carabiner and allen-key. We really hope our explanation helps you. If you have any questions please feel free to contact us (Phone: 0631-8923 8923 or email: info@monkeyhardware.de). Keep in mind: Our monkey sets include everything you need to install a single tree (height differs), so you don`t have to worry about assembling everything unless you want an individual offer. Question: How to install the holds to the monkey? In our sets we included everything you need. Monkeys, holds, screws and an allenkey. place the hold on the monkey. Put the screw in. Tighten it with the allen-key. Easy, right? Of course there are situations that afford special ways of assembling. In case you can`t figure out how to do it please call us - by now we should know a solution for almost every problem that might occur and are happy to help you!